If you follow my social media activities I am sure by now that you know me as a compulsive share-addict. Over the past four years I have gradually increased both the amount of incoming and outgoing information I attempt to integrate on a daily basis. I start every day with a now routine ritual of scanning new publications from 60+ journals and blogs using my firehose RSS feed, as well as integrating new links from various Science sub-reddits, my curated twitter cogneuro list, my friends and colleagues on Facebook, and email lists. I then in turn curate the best, most relevant to my interests, or in some cases the most outrageous of these links and share them back to twitter, facebook, reddit, and colleagues. Of course in doing so, a frequent response from (particularly more senior) colleagues is: why?! Why do I choose to spend the time to both take in all that information and to share it back to the world? The answer is quite simple- in sharing this stuff I get critical feedback from an ever-growing network of peers and collaborators. I can’t even count the number of times someone has pointed out something (for better or worse) that I would have otherwise missed in an article or idea. That’s right, I share it so I can see what you think of it! In this way I have been able to not only stay up to date with the latest research and concepts, but to receive constant invaluable feedback from all of you lovely brains :). In some sense I literally distribute my cognition throughout my network – thanks for the extra neurons! From the beginning, I have been able not only to assess the impact of this stuff, but also gain deeper and more varied insights into its meaning. 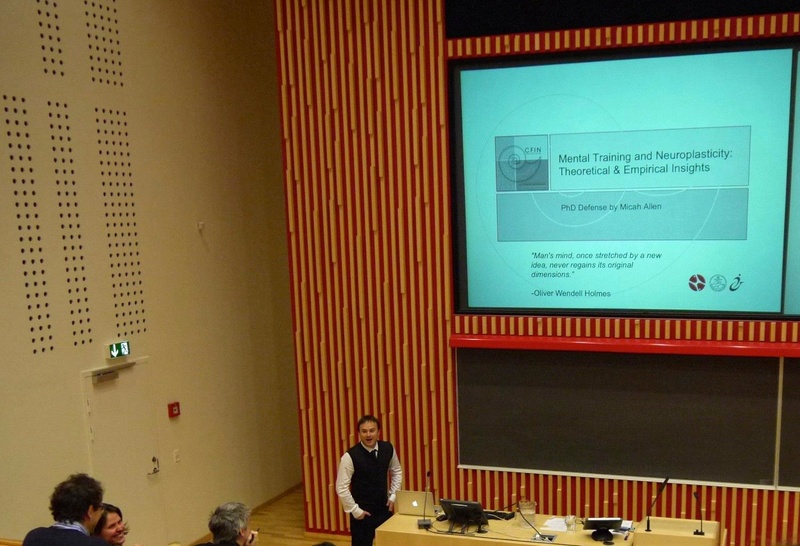 When I began my PhD I had the moderate statistical training of a BSc in psychology with little direct knowledge of neuroimaging methods or theory. Frankly it was bewildering. Just figuring out which methods to pay attention to, or what problems to look out for, was a headache-inducing nightmare. But I had to start somewhere and so I started by sharing, and sharing often. As a result almost every day I get amazing feedback pointing out critical insights or flaws in the things I share that I would have otherwise missed. In this way the entire world has become my interactive classroom! It is difficult to overstate the degree to which this interaction has enriched my abilities as a scientists and thinker. It is only natural however for more senior investigators to worry about how much time one might spend on all this. I admit in the early days of my PhD I may have spent a bit too long lingering amongst the RSS trees and twitter swarms. But then again, it is difficult to place a price on the knowledge and know-how I garnered in this process (not to mention the invaluable social capital generated in building such a network!). I am a firm believer in “power procrastination”, which is just the process of regularly switching from more difficult but higher priority to more interesting but lower priority tasks. I believe that by spending my downtime taking in and sharing information, I’m letting my ‘default mode’ take a much needed rest, while still feeding it with inputs that will actually make the hard tasks easier. In all, on a good day I’d say I spend about 20 minutes each morning taking in inputs and another 20 minutes throughout the day sharing them. Of course some days (looking at you Fridays) I don’t always adhere to that and there are those times when I have to ‘just say no’ and wait until the evening to get into that workflow. Productivity apps like Pomodoro have helped make sure I respect the balance when particularly difficult tasks arise. All in all however, the time I spend sharing is paid back tenfold in new knowledge and deeper understanding. Really I should be thanking all of you, the invaluable peers, friends, colleagues, followers, and readers who give me the feedback that is so totally essential to my cognitive evolution. So long as you keep reading- I’ll keep sharing! Thanks!! Notes: I haven’t even touched on the value of blogging and post-publication peer review, which of course sums with the benefits mentioned here, but also has vastly improved my writing and comprehension skills! But that’s a topic for another post! Fun fact – I read the excellent scifi novel Accelerando just prior to beginning my PhD. In the novel the main character is an info-addict who integrates so much information he gains a “5 second” prescience on events as they unfold. He then shares these insights for free with anyone who wants them, generating billion dollar companies (of which he owns no part in) and gradually manipulating global events to bring about a technological singularity. I guess you could say I found this to be a pretty neat character 🙂 In a serious vein though, I am a firm believer in free and open science, self-publication, and sharing-based economies. Information deserves to be free! Can the reward prediction error hypothesis explain addiction and reward? Great video on incentive-salience theory. Can compassion be trained like a muscle? Active-controlled fMRI of compassion meditation. Among the cognitive training literature, meditation interventions are particularly unique in that they often emphasize emotional or affective processing at least as much as classical ‘top-down’ attentional control. From a clinical and societal perspective, the idea that we might be able to “train” our “emotion muscle” is an attractive one. Recently much has been made of the “empathy deficit” in the US, ranging from empirical studies suggesting a relationship between quality-of-care and declining caregiver empathy, to a recent push by President Obama to emphasize the deficit in numerous speeches. While much of the training literature focuses on cognitive abilities like sustained attention and working memory, many investigating meditation training have begun to study the plasticity of affective function, myself included. 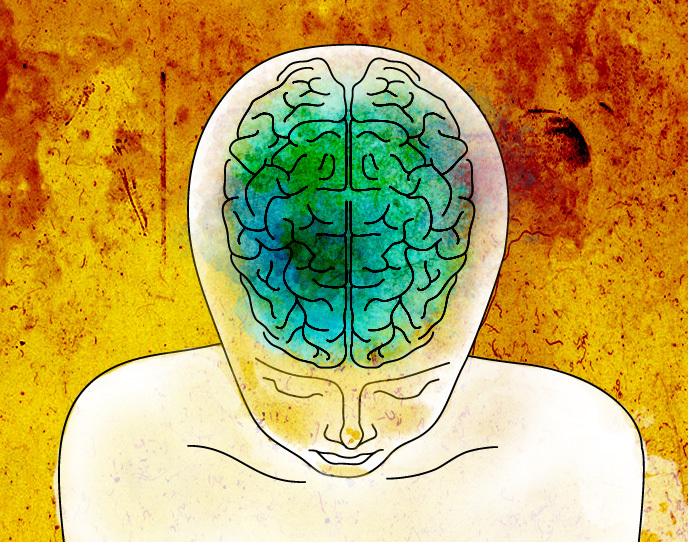 A recent study by Helen Weng and colleagues in Wisconsin investigated just this question, asking if compassion (“loving-kindness”) meditation can alter altruistic behavior and associated neural processing. Her study is one of the first of its kind, in that rather than merely comparing groups of advanced practitioners and controls, she utilized a fully-randomized active-controlled design to see if compassion responds to brief training in novices while controlling for important confounds. As many readers should be aware, a chronic problem in training studies is a lack of properly controlled longitudinal design. At best, many rely on “passive” or “no-contact” controls who merely complete both measurements without receiving any training. Even in the best of circumstances “active” controls are often poorly matched to whatever is being emphasized and tested in the intervention of interest. While having both groups do “something” is better than a passive or no-control design, problems may still arise if the measure of interest is mismatched to the demand characteristics of the study. Stated simply, if your condition of interest receives attention training and attention tests, and your control condition receives dieting instruction or relaxation, you can expect group differences to be confounded by an explicit “expectation to improve” in the interest group. In this regard Weng et al present an almost perfect example of everything a training study should be. Both interventions were delivered via professionally made audio CDs (you can download them yourselves here! ), with participants’ daily practice experiences being recorded online. The training materials were remarkably well matched for the tests of interest and extra care was taken to ensure that the primary measures were not presented in a biased way. The only thing they could have done further would be a single blind (making sure the experimenters didn’t know the group identity of each participant), but given the high level of difficulty in blinding these kinds of studies I don’t blame them for not undertaking such a manipulation. In all the study is extremely well-controlled for research in this area and I recommend it as a guideline for best practices in training research. Specifically, Weng et al tested the impact of loving-kindness compassion meditation or emotion reappraisal training on an emotion regulation fMRI task and behavioral economic game measuring altruistic behavior. For the fMRI task, participants viewed emotional pictures (IAPS) depicting suffering or neutral scenarios and either practiced a compassion meditation or reappraisal strategy to regulate their emotional response, before and after training. After the follow-up scan, good-old fashion experimental deception was used to administer a dictator economics-game that was ostensibly not part of the primary study and involved real live players (both deceptions). Participants were told that they were playing the game with live players over the Internet. Effects of demand characteristics on behavior were minimized by presenting the game as a unique study, describing it in purely economic terms, never instructing participants to use the training they received, removing the physical presence of players and experimenters during game play, and enforcing real monetary consequences for participants’ behavior. … Participants practiced compassion for targets by 1) contemplating and envisioning their suffering and then 2) wishing them freedom from that suffering. They first practiced compassion for a Loved One, such as a friend or family member. They imagined a time their loved one had suffered (e.g., illness, injury, relationship problem), and were instructed to pay attention to the emotions and sensations this evoked. They practiced wishing that the suffering were relieved and repeated the phrases, “May you be free from this suffering. May you have joy and happiness.” They also envisioned a golden light that extended from their heart to the loved one, which helped to ease his/her suffering. They were also instructed to pay attention to bodily sensations, particularly around the heart. They repeated this procedure for the Self, a Stranger, and a Difficult Person. The Stranger was someone encountered in daily life but not well known (e.g., a bus driver or someone on the street), and the Difficult Person was someone with whom there was conflict (e.g., coworker, significant other). Participants envisioned hypothetical situations of suffering for the stranger and difficult person (if needed) such as having an illness or experiencing a failure. At the end of the meditation, compassion was extended towards all beings. For each new meditation session, participants could choose to use either the same or different people for each target category (e.g., for the loved one category, use sister one day and use father the next day). … Participants were asked to recall a stressful experience from the past 2 years that remained upsetting to them, such as arguing with a significant other or receiving a lower-than- expected grade. They were instructed to vividly recall details of the experience (location, images, sounds). They wrote a brief description of the event, and chose one word to best describe the feeling experienced during the event (e.g., sad, angry, anxious). They rated the intensity of the feeling during the event, and the intensity of the current feeling on a scale (0 = No feeling at all, 100 = Most intense feeling in your life). They wrote down the thoughts they had during the event in detail. Then they were asked to reappraise the event (to think about it in a different, less upsetting way) using 3 different strategies, and to write down the new thoughts. The strategies included 1) thinking about the situation from another person’s perspective (e.g., friend, parent), 2) viewing it in a way where they would respond with very little emotion, and 3) imagining how they would view the situation if a year had passed, and they were doing very well. After practicing each strategy, they rated how reasonable each interpretation was (0 = Not at all reasonable, 100 = Completely reasonable), and how badly they felt after considering this view (0 = Not bad at all, 100 = Most intense ever). Day to day, participants were allowed to practice reappraisal with the same stressful event, or choose a different event. Participants logged the amount of minutes practiced after the session. In my view the active control is extremely well designed for the fMRI and economic tasks, with both training methods explicitly focusing on the participant altering an emotional response to other individuals. In tests of self-rated efficacy, both groups showed significant decreases in negative emotion, further confirming the active control. Interestingly when Weng et al compared self-ratings over time, only the compassion group showed significant reduction from the first half of training sessions to the last. I’m not sure if this constitutes a limitation, as Weng et al further report that on each individual training day the reappraisal group reported significant reductions, but that the reductions themselves did not differ significantly over time. They explain this as being likely due to the fact that the reappraisal group frequently changed emotional targets, whereas the compassion group had the same 3 targets throughout the training. Either way the important point is that both groups self-reported similar overall reductions in negative emotion during the course of the study, strongly supporting the active control. The dictator task (left) and increased redistribution (right). 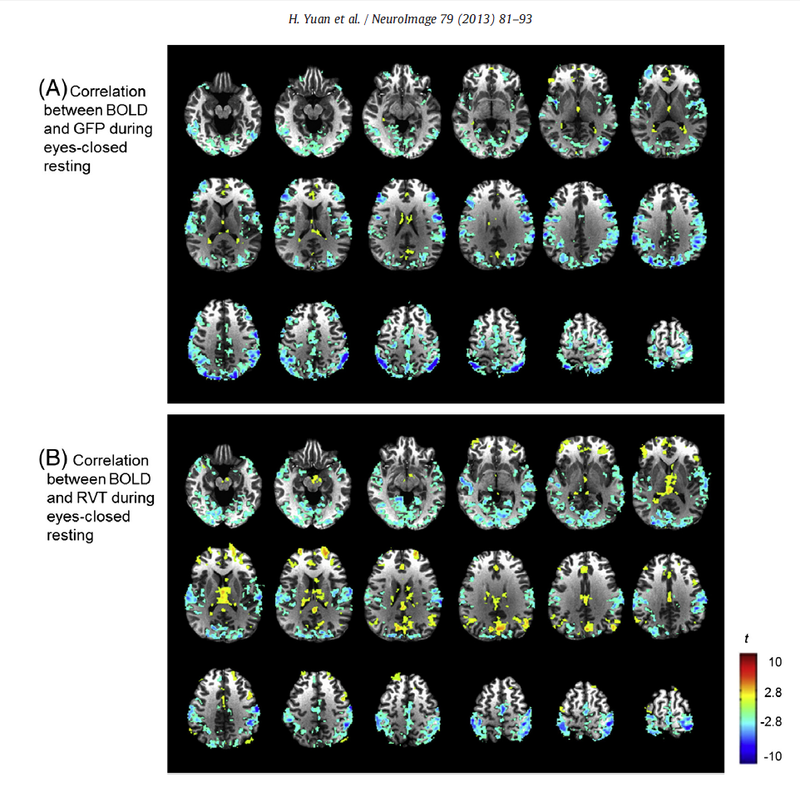 Increased correlation between negative vs neutral imagery related BOLD and redistribution scores (left), connectivity with DLPFC (right). 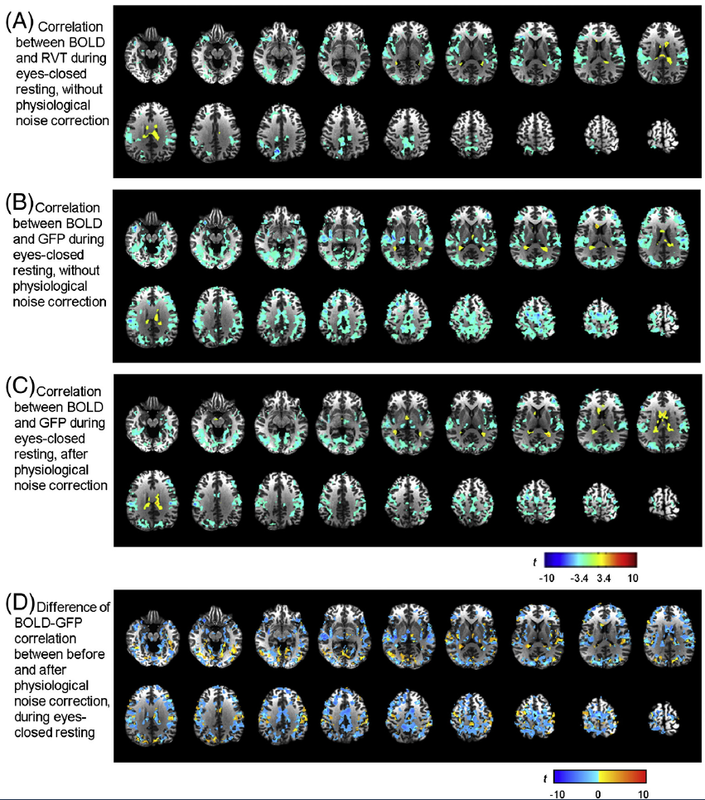 They further extracted signal from the IPC cluster and entered it into a conjunction analysis, testing for areas showing significant correlation with the IPC activity, and found a strong effect in right DLPFC (right panel). Finally they performed a psychophysiological interaction (PPI) analysis with the right DLPFC activity as the seed, to determine regions showing significant task-modulated connectivity with that DLPFC activity. 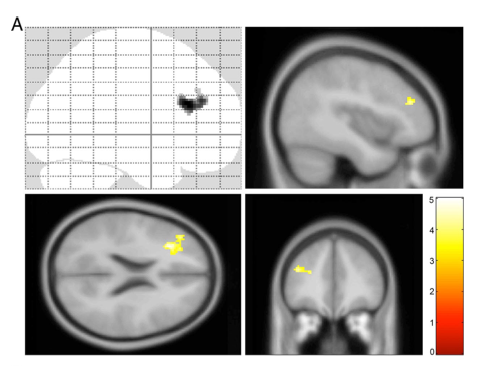 The found increased emotion-modulated DLPFC connectivity to nucleus accumbens, a region involved in encoding positive rewards (below, right). PPI shows increased emotion-modulated connectivity of nucleus accumbens and DLPFC. Together these results implicate training-related BOLD activity increases to emotional stimuli in the parietal attention network and increased parietal connectivity with regions implicated in cognitive control and reward processing, in the observed altruistic behavior differences. The authors conclude that compassion training may alter emotional processing through a novel mechanism, where top-down central-executive circuits redirect emotional information to areas associated with positive reward, reflecting the role of compassion meditation in emphasizing increased positive emotion to the aversive states of others. A fitting and interesting conclusion, I think. Overall, the study should receive high marks for its excellent design and appropriate statistical rigor. There is quite a bit of interesting material in the supplementary info, a strategy I dislike, but that is no fault of the authors considering the publishing journal (Psych Science). The question itself is extremely novel, in terms of previous active-controlled studies. To date only one previous active-controlled study investigated the role of compassion meditation on empathy-related neuroplasticity. However that study compared compassion meditation with a memory strategy course, which (in my opinion) exposes it to serious criticism regarding demand characteristic. The authors do reference that study, but only briefly to state that both studies support a role of compassion training in altering positive emotion- personally I would have appreciated a more thorough comparison, though I suppose I can go and to that myself if I feel so inclined :). The study does have a few limitations worth mentioning. One thing that stood out to me was that the authors never report the results of the overall group mean contrast for negative vs neutral images. I would have liked to know if the regions showing increased correlation with redistribution actually showed higher overall mean activation increases during emotion regulation. However as the authors clearly had quite specific hypotheses, leading them to restrict their alpha to 0.01 (due to testing 1 whole-brain contrast and 4 ROIs), I can see why they left this out. Given the strong results of the study, it would in retrospect perhaps have been more prudent to skip the ROI analysis (which didn’t seem to find much) and instead focus on testing the whole brain results. I can’t blame them however, as it is surprising not to see anything going on in insula or amygdala for this kind of training. It is also a bit unclear to me why the DLPFC was used as the PPI seed as opposed to the primary IPC cluster, although I am somewhat unfamiliar with the conjunction-connectivity analysis used here. Finally, as the authors themselves point out, a major limitation of the study is that the redistribution measure was collected only at time two, preventing a comparison to baseline for this measure. Given the methodological state of the topic (quite poor, generally speaking), I am willing to grant them these mostly minor caveats. Of course, without a baseline altruism measure it is difficult to make a strong conclusion about the causal impact of the meditation training on altruism behavior, but at least their neural data are shielded from this concern. So while we can’t exhaustively conclude that compassion can be trained, the results of this study certainly suggest it is possible and perhaps even likely, providing a great starting point for future research. One interesting thing for me was the difference in DLPFC. We also found task-related increases in dorsolateral prefrontal cortex following active-controlled meditation, although in the left hemisphere and for a very different kind of training and task. One other recent study of smoking cessation also reported alteration in DLPFC following mindfulness training, leading me to wonder if we’re seeing the emergence of empirical consensus for this region’s specific involvement in meditation training. Another interesting point for me was that affective regulation here seems to involve primarily top-down or attention related neural correlates, suggesting that bottom-up processing (insula, amygdala) may be more resilient to brief training, something we also found in our study. I wonder if the group mean-contrasts would have been revealing here (i.e. if there were differences in bottom-up processing that don’t correlate with redistribution). All together a great study that raises the bar for training research in cognitive neuroscience! Is the resting BOLD signal physiological noise? What about resting EEG? Over the past 5 years, resting-state fMRI (rsfMRI) has exploded in popularity. Literally dozens of papers are published each day examining slow (< .1 hz) or “low frequency” fluctuations in the BOLD signal. When I first moved to Europe I was caught up in the somewhat North American frenzy of resting state networks. 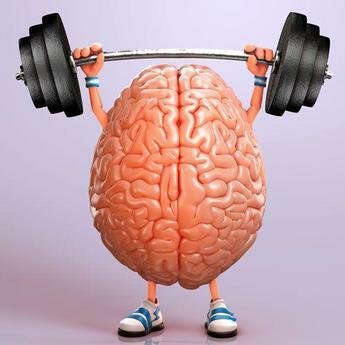 I couldn’t understand why my Danish colleagues, who specialize in modelling physiological noise in fMRI, simply did not take the literature seriously. The problem is essentially that the low frequencies examined in these studies are the same as those that dominate physiological rhythms. Respiration and cardiac pulsation can make up a massive amount of variability in the BOLD signal. Before resting state fMRI came along, nearly every fMRI study discarded any data frequencies lower than one oscillation every 120 seconds (e.g. 1/120 Hz high pass filtering). Simple things like breath holding and pulsatile motion in vasculature can cause huge effects in BOLD data, and it just so happens that these artifacts (which are non-neural in origin) tend to pool around some of our favorite “default” areas: medial prefrontal cortex, insula, and other large gyri near draining veins. Naturally this leads us to ask if the “resting state networks” (RSNs) observed in such studies are actually neural in origin, or if they are simply the result of variations in breath pattern or the like. Obviously we can’t answer this question with fMRI alone. We can apply something like independent component analysis (ICA) and hope that it removes most of the noise- but we’ll never really be 100% sure we’ve gotten it all that way. We can measure the noise directly (e.g. “nuisance covariance regression”) and include it in our GLM- but much of the noise is likely to be highly correlated with the signal we want to observe. What we need are cross-modality validations that low-frequency oscillations do exist, that they drive observed BOLD fluctuations, and that these relationships hold even when controlling for non-neural signals. Some of this is already established- for example direct intracranial recordings do find slow oscillations in animal models. In MEG and EEG, it is well established that slow fluctuations exist and have a functional role. So far so good. But what about in fMRI? Can we measure meaningful signal while controlling for these factors? This is currently a topic of intense research interest. Marcus Raichle, the ‘father’ of the default mode network, highlights fascinating multi-modal work from a Finnish group showing that slow fluctuations in behavior and EEG signal coincide (Raichle and Snyder 2007; Monto, Palva et al. 2008). However, we should still be cautious- I recently spoke to a post-doc from the Helsinki group about the original paper, and he stressed that slow EEG is just as contaminated by physiological artifacts as fMRI. Except that the problem is even worse, because in EEG the artifacts may be several orders of magnitude larger than the signal of interest[i]. That’s one way to put it! The logic here is that since alpha = neural activity, and respiration correlates with alpha, then alpha must be the neural correlate of respiration. I’m sorry guys, you did a decent experiment, but I’m afraid you’ve gotten this one wrong. There is absolutely nothing that implies alpha power cannot also be contaminated by respiration-related physiological noise. In fact it is exactly the opposite- in the low frequencies observed by Yuan et al the EEG data is particularly likely to be contaminated by physiological artifacts! And that is precisely what the paper shows – in the author’s own words: “impressively strong correlations between global alpha and respiration”. This is further corroborated by the strong similarity between the RVT-BOLD and alpha-BOLD maps, and the fact that removing respiratory and pulse variance drastically alters the alpha-BOLD correlations! So what should we take away from this study? It is of course inconclusive- there are several aspects of the methodology that are puzzling to me, and sadly the study is rather under-powered at n = 9. I found it quite curious that in each of the BOLD-alpha maps there seemed to be a significant artifact in the lateral and posterior ventricles, even after physiological noise correction (check out figure 2b, an almost perfect ventricle map). If their global alpha signal is specific to a neural origin, why does this artifact remain even after physiological noise correction? I can’t quite put my finger on it, but it seems likely to me that some source of noise remained even after correction- perhaps a reader with more experience in EEG-fMRI methods can comment. For one thing their EEG motion correction seems a bit suspect, as they simply drop outlier timepoints. One way or another, I believe we should take one clear message away from this study – low frequency signals are not easily untangled from physiological noise, even in electrophysiology. This isn’t a damnation of all resting state research- rather it is a clear sign that we need be to measuring these signals to retain a degree of control over our data, particularly when we have the least control at all. Birn, R. M., J. B. Diamond, et al. (2006). “Separating respiratory-variation-related fluctuations from neuronal-activity-related fluctuations in fMRI.” Neuroimage 31(4): 1536-1548. Monto, S., S. Palva, et al. (2008). “Very slow EEG fluctuations predict the dynamics of stimulus detection and oscillation amplitudes in humans.” The Journal of Neuroscience 28(33): 8268-8272. Raichle, M. E. and A. Z. Snyder (2007). “A default mode of brain function: a brief history of an evolving idea.” Neuroimage 37(4): 1083-1090. Yuan, H., V. Zotev, et al. (2013). 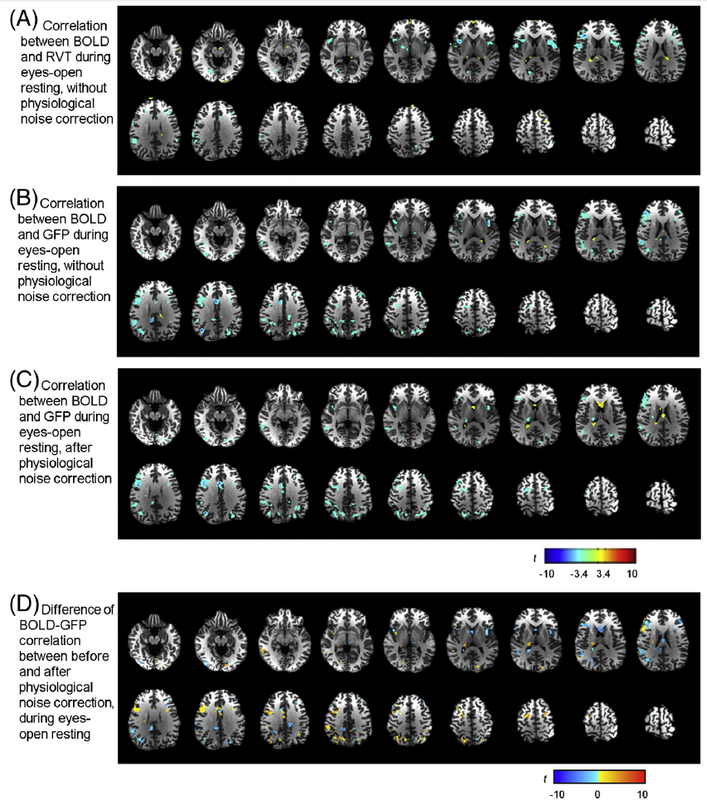 “Correlated Slow Fluctuations in Respiration, EEG, and BOLD fMRI.” NeuroImage pp. 1053-8119. [i] Note that this is not meant to be in anyway a comprehensive review. A quick literature search suggests that there are quite a few recent papers on resting BOLD EEG. I recall a well done paper by a group at the Max Planck Institute that did include noise regressors, and found unique slow BOLD-EEG relations. I cannot seem to find it at the moment however! Thanks to the wonders of social media, while I was out grocery shopping I received several interesting and useful responses to my previous post on the relationship between multivariate pattern analysis and simulation theory. Rather than try and fit my responses into 140 characters, I figured i’d take a bit more space here to hash them out. I think the idea is really enhanced by these responses, which point to several findings and features of which I was not aware. The short answer seems to be, no MVPA does not invalidate simulation theory (ST) and may even provide evidence for it in the realm of motor intentions, but that we might be able to point towards a better standard of evidence for more exploratory applications of ST (e.g. empathy-for-pain). An important point to come out of these responses as one might expect, is that the interpretation of these methodologies is not always straightforward. From Oosterhof et al, showing combined classification accuray for (train see, test do; train do, test see). From supplementary info, A shows classifier trained on see, tested on do, B shows the opposite. Oosterhof and colleagues also investigate the specificity of information for particular gestures in a second experiment, but for our purposes lets focus on just the first. My first thought is that this does actually provide some evidence for a simulation theory of understanding motor intentions. Clearly there is enough information in each modality to accurately decode the opposite modality: there are populations of neurons encoding similar information both for action execution and perception. Realistically I think this has to be the minimal burden of proof needed to consider an imaging finding to be evidence for simulation theory. So the results of Oosterhof et al do provide supporting evidence for simulation theory in the domain of motor intentions. Nonetheless, the results also strengthen the argument that more exploratory extentions of ST (like empathy-for-pain) must be held to a similar burden of proof before generalization in these domains is supported. Simply showing spatial overlap is not evidence of simulation, as Oosterhof themselves argue. I think it is interesting to note the slight spatial divergence between the two train-test maps (see on do, do on see). While we can obviously identify voxels encoding cross-modality information, it is interesting that those voxels do not subsume the entirety of whatever neural computation relates these two modalities; each has something unique to predict in the other. I don’t think that observation invalidates simulation theory, but it might suggest an interesting mechanism not specified in the ‘vanilla’ flavor of ST. To be extra boring, it would be really nice to see an independent replication of this finding, since as Oosterhof themselves point out, the evidence for cross-modal information is inconsistent across studies. Even though the classifier performs well above chance in this study, it is also worth noting that the majority of surviving voxels in their study show somewhere around 40-50% classification accuracy, not exactly gangbusters. It would be interesting to see if they could identify voxels within these regions that selectively encode only viewing or performing; this might be evidence for a hybrid-theory account of motor intentions. Leonhard’s question is an interesting one that I don’t have a ready response for. As I understand it, the idea is that demonstrating no difference of patterns between a self and other-related condition (e.g. performing an action vs watching someone else do it) might actually be an argument for simulation, since this could be caused by that region using isomorphic computations for both conditions. This an interesting point – i’m not sure what the status of null findings is in the decoding literature, but this merits further thought. James Kilner asks about the performance of MVPA in the case that the pattern might be spatially overlapping but not identical for two conditions. This is an interesting question and i’m not sure I know the correct answer; my intuition is that you could accurately discriminate both conditions using the same voxels and that this would be strong evidence against a simple simulation theory account (spatial overlap but representational heterogeneity). In general it is clear that the interpretation of decoded patterns is not straightforward- it isn’t clear precisely what information they reflect, and it seems like if a region contained a totally heterogeneous population of neurons you wouldn’t pick up any decoding at all. With respect to ST, I don’t know if this completely invalidates our ability to test predictions- I don’t think one would expect such radical heterogeneity in a region like STS, but rather a few sub-populations responding selectively to self and other, which MVPA might be able to reveal. It’s an important point to consider though. As you can see in the above, Jimura and Poldrack show that MVPA picks up a large number of voxels not found in the GLM analysis. Their interpretation is that the GLM is designed to pick up regions responding globally or in most cases to stimulation, whereas MVPA likely picks up globally distributed responses that show variance in their response. This is a bit like the difference between functional integration and localization; both are complementary to the understanding of some cognitive function. I take Tal’s point to be that the MVPA and GLM are sensitive to different sources of information and that this blurs the ability of the technique to evaluate simulation theory- you might observe differences between the two that would resemble evidence against ST (different information in different areas) when in reality you would be modelling altogether different aspects of the cognition. edit: after more discussion with Tal on Twitter, it’s clear that he meant to point out the ambiguity inherent in interpreting the predictive power of MVPA; by nature these analyses will pick up a lot of confounding a causal noise- arousal, reaction time, respiration, etc, which would be excluded in a GLM analysis. So these are not necessarily or even likely to be “direct read-outs” of representations, particularly to the extent that such confounds correlate with the task. See this helpful post by neuroskeptic for an overview of one recent paper examining this issue. See here for a study investigating the complex neurovascular origins of MVPA for fMRI. Thanks sincerely for these responses, as it’s been really interesting and instructive for me to go through these papers and think about their implications. I’m still new to these techniques and it is exciting to gain a deeper appreciation of the subtleties involved in their interpretation. On that note, I must direct you to check out Sam Schwarzkopf’s excellent reply to my original post. Sam points out some common misunderstandings (of which I am perhaps guilty of several) regarding the interpretation of MVPA/decoding versus GLM techniques, arguing essentially that they pick up much of the same information and can both be considered ‘decoding’ in some sense, further muddying their ability to resolves debates like that surrounding simulation theory.